Families who have the foresight to take out medical travel insurance in preparation for their Easter break abroad to Europe should also take the extra step of vaccinating their children against measles, according the Health Protection Agency (HPA). Schools in England have received advice from the HPA warning that children travelling to mainland Europe should be protected after a recent measles outbreak. 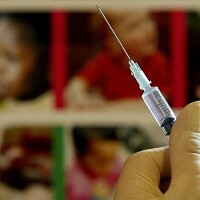 An HPA spokeswoman said that so far this year measles cases have increased in a number of countries, including Denmark, France, Germany and the Netherlands, as reported by the World Health Organisation. In France, nearly 1,000 cases were already reported by January this year, compared to 1,500 in 2009 and more than 4,500 during 2010. An outbreak has also been reported in Istanbul, Turkey, as well as cases linked to a large outbreak in Bulgaria last year. The spokeswoman said overseas travel is an important factor in the international spread of measles and that HPA health protection units are writing to schools and health professionals in their local area. She added: "The HPA is issuing advice to schools and health professionals on measles and recommends that children are fully immunised with two doses of MMR before travelling to Europe for holidays." Measles causes a range of symptoms including fever, coughing and distinctive red-brown spots on the skin. The virus is contained in the millions of tiny droplets that come out of the nose and mouth when an infected person coughs or sneezes. The highly-contagious virus can be caught by breathing in these droplets or, if the droplets have settled on a surface, by touching the surface and then placing your hands near your nose or mouth.